Bike riding is the craziest and the most adventurous thing to do if you are on a vacation or a getaway. Riding a bike and exploring the place is just the best thing you could ever experience. Also riding a bike is one of the most active ways to spend your time and ensure the beauty of the place which you have visited. And if you are professionally a bike rider, then you must visit a hilly place where you can push your speed up and enjoy the challenging ride as riding on the hills as actually a difficult task but people who are adventurous and love taking challenges, will surely enjoy these Bike Rides around the World. Bike riding keeps you fit and active on the trip and you are digging yourself into some extra calories, and then this workout can actually help you to burn those extra kilos that you have put on due to the mouth watering cuisines. Apart from keeping you fit and active, bike rides are also quite adventurous and that thing majorly depends upon the area which you have selected for your bike riding and of course the track. Tracks for bike riding are mostly made in the remote and rugged areas and biking on those tracks will make you feel really amazing. There are a lot of bike riding locations around the world which are quite adventurous and crazy. So, here we are providing you a list of the top craziest bike rides around the world which you must explore for sure. For bike riding, you always need a remote or rugged area and you could not find a remote area better than the Great Divide situated in North America. It is basically an off- road track and even the longest off- pavement route in the world, starting from the Alberta’s in Canada to the New Mexico and the covers quite a long distance in which the climb is around 61000 meters and the plain area is around 200,000 feet. So, what are you waiting for, just get a funky bike and start pedaling at this amazing Mountain Biking Route which is also considered as one of the craziest biking routes around the world? The track of this biking route is also considered extremely dramatic as well due to its rugged backdrop and the roads filled with dirt, which is really cool for your pictures and surely your pictures will come out to be really amazing just like the ones which we see in movies. But Bike Rides around the World at this sun burning place can cause you extreme skin tan and can even harm your skin, so in order to avoid this do apply a good volume of sunscreen before getting out for the challenging ride. But the temperature here is mostly chilly in the nights and warm during day time. Then you may also find a great variety of wildlife out here like bear, deer, eagle, osprey, wild horses and many types of birds as well. So, to enjoy the most dramatic bike ride, you must visit this place. The Friendship Highway in Chine is an extremely amazing place for bike riding. This 800 kilometers which are approximately 500 miles ranging from the Tibetan City of Lhasa to the Nepal Border is a mind blowing place to visit. It is also considered as the world’s most beautiful bike riding route one could ever visit in his lifetime. The breathtaking high altitude mountains will just leave you awestruck but riding a bike on these high peaks can be a bit challenging as well as scary too. The route includes a total of three road passes which are 5000 meters long and can reach up to a maximum of 5220 meters. Bike Rides around the World at this highway should always be done during the daytime if you want to get the amazing view of the Everest Mountains. But before you plan a bike ride out here, test your physical fitness first as riding can be quite difficult out here for the physically unfit people. You should test the weather conditions as well before be getting on the road for your bike ride and don’t ever travel individually as this can land you in an awkward situation, so better travel in groups. But apart from that, bike riding on this highway will let you explore many other things like temples and cultural monuments of the Lhasa and Gyantse, the beautiful lakes and the Yamdrok Yumtso Valley. So, to enjoy the best ever experience in bike riding, you must visit this place for sure. This biking route situated in Costa Rica is not that long as the other biking routes around the world but still, it is considered as one of the most amazing routes in the world when it comes to bike riding. It is just 270 Kilometers long starting from the Pacific Ocean to the Caribbean Coast which covers all the natural beauty including the rain forests, mud path, coffee plantations and an extinct volcano. 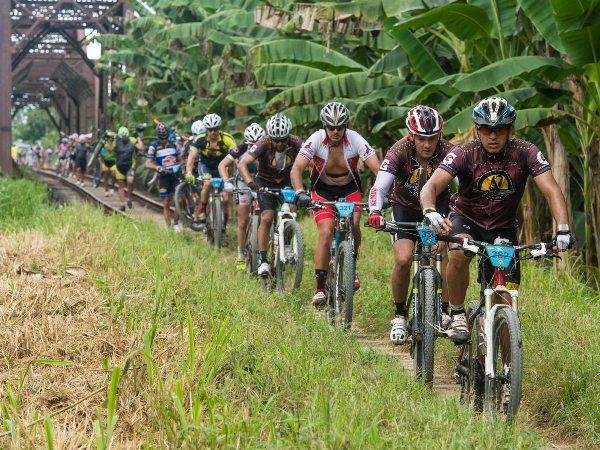 The bike riding route can be completed within a time span of around three days and the best time to visit this place is the month of November if you want to be a part of the much awaited Annual Mountain Bike Race held here in Costa Rica. But if you have just come here for an adventurous ride, then you can enjoy the 16th-century old route of the Spanish conqueror Juan de Cavallon which is an extremely enjoyable route. Apart from that, the place has a beautiful national park called the La Ruta National Park which has some exclusive variety of wildlife. The route has a height of around 3000 meters which is extremely challenging if you are biking alone. You will get the best view of the place is when you reach the extinct volcano peak of Irazu where you can get yourself clicked if you want the best backdrop for your pictures. So, to experience the best Bike Rides around the World natural beauty along with an amazing bike ride, this place is the best for that. The NSCR or the North Sea Cycling Route in Europe is the most epic Bike Rides around the World in Europe and even around the whole world. It is basically a cycling route which is maintained and funded by EU and it passes through almost eight countries of Europe which make it one of the longest biking routes in the world. It covers a distance of around 6000 Kilometers which is approximately 3728 miles and ranges from the Shetland Island in Scotland, moving along the coasts of Britain, France, Belgium, the Netherlands, Germany, Denmark, Sweden and then finally reaching Norway. So, if you get to cover these eight beautiful countries and that to on a bike, then you will surely get to explore each and everything that makes Europe famous. The best season to experience this amazing riding route is the season of summer and the best spot on this route during summers is Ostend situated on the coast of Belgium. So, before planning a bike ride at the North Sea Cycling Route, you better search for the place and get bike riding expert tips especially when it comes to riding across the sea along Denmark which is quite challenging. The North Sea Cycling Route is also famously known as the Euro Velo Route 12 and to experience the beauty of the place along with cycling, you must once visit here for sure. This is actually Bike Rides around the World route which almost everyone can cover quite easily, right from the kids to the young ones and even those who are in their mid-50s. This is because the distance of the cycling route is quite less which is just 64 Kilometers which is approximately we can say 40 miles long. The cycling route is aesthetically built upon a beautifully constructed modern bridge which totally separates the route from the main road. The bridge crosses the beautiful islands of Hiroshima which are actually breathtaking to watch from the height of the bridge. Though Japan is quite a modern country and bike riding is not very common there but still instead of that The Shimanami Kaido is letting people believe that riding a cycle is far better than a car or any other vehicle. The path or the route is beautifully built up having proper lanes including a lane for pedestrians, diversion and the leg friendly slopes of the bridge which are quite high as well. You can always hire a bike along the route whenever you feel like cycling on the amazing route. You can easily complete the trip in a day but if get indulged in enduring the beauty along the route, and then it might take more than a day to complete your route. So, if you want a small cycling route which you can cover along with your whole family and that to beautifully constructed, and then this place is the best for you. 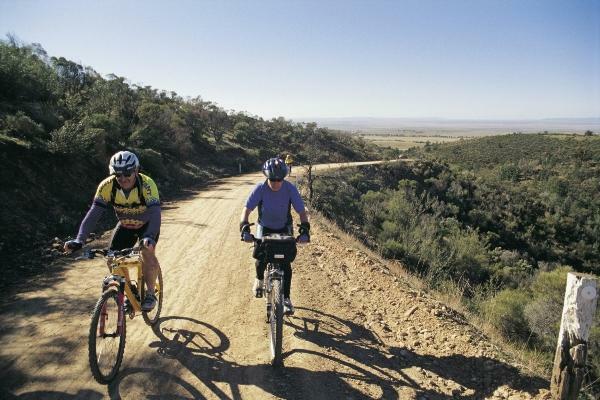 This is another epic and a very adventurous cycling trial situated in Western Australia. The route of Muna Biddi trail is totally ruff and rugged and you will be all covered up with the mud and dirt when you finish the trail. Muna Biddi actually means “path through the forest” which means the whole cycling route goes through the extremely dense forest area which in itself is extremely adventurous and of course challenging as well. The route covers a distance of around 960 Kilometers which is approximately 596 miles and is all in all an off- road route covering the forest wilderness, covering the State capital city of Perth to Albany in the Southwest of Australia. This trail is basically for those who are extremely adventurous and ambiguous as the whole trail is full of challenges and scary moments. You will surely carry some memories with you after covering the trail on a bike and the memories can either be good or bad as well. Don’t visit the cycling trail in the summer season as it is extremely Bike Rides around the World hot at that time and you can totally get burned up in the sun. In between the trail, there are some amazing campsites, where you can plan your stay with proper sleeping and water facilities. So, before planning the trip, you must visit the Munda Biddi Trail’s official website and do proper research on the cycling trail. If you want to experience a Bike Rides around the World in a beautiful countryside area, then The South Down Ways in England is the place to visit. The beauty of the place will actually blow your mind away and you will surely be left awestruck for some time. The route covers a distance of around 160 Kilometers which is approximately 99 miles has a totally alpine look where greenery surrounds you from every corner. The route also covers an uphill trail which covers a distance of around 4300 meters and the uphill experience is quite exciting as well. This place is also one of the famous hiking trails as well due to the height if the mountains, the South Down Ways meanders, the beautiful cliffs of the Beach Head to the old and amazingly built up Winchester. The route is open for all like Cyclists, walkers and even horse riders and you will find a lot of small pubs and restaurants along the route which are built up by the local villagers. The best thing about this trail is the countryside view which can also be the perfect backdrop for your pictures and of course the hospitality of the local countrymen out there. You will surely carry beautiful and some unforgettable memories from this place. So, do explore it once in your lifetime. So, these are the top 7 craziest Bike Rides around the World which you must visit once.